Our family enjoys soft tacos, but it seems we often think about them last minute when I don't have any store-bought tortillas in the house. 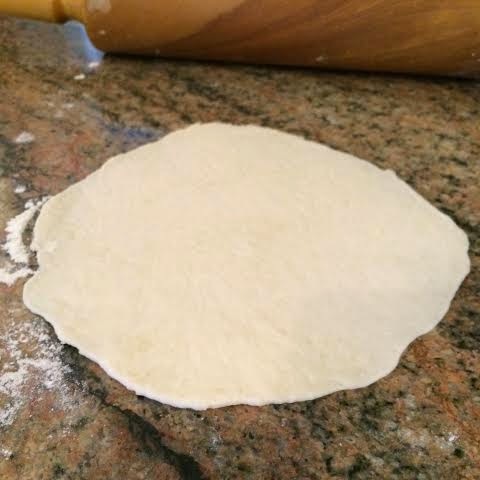 On one of these occasions, I found a flour tortilla recipe online, and tweaked it to our liking. (The original recipe did not have any fat content, and it made the tortillas just too tough and dry). What I love about this recipe is the versatility of it. I've made them a bit bigger to use as a wrap, or made them as-is to use as a perfect shell for fish, chicken or beef tacos. I've even added some garlic and a bit of butter in the frying process to turn it into a makeshift naan bread to go with Indian dishes. Add 1/2 cup water and stir until dough starts to come together. It may seem a tad on the dry side, but before adding more water (1 tsp at a time), knead approximately 30 times on a floured counter top. 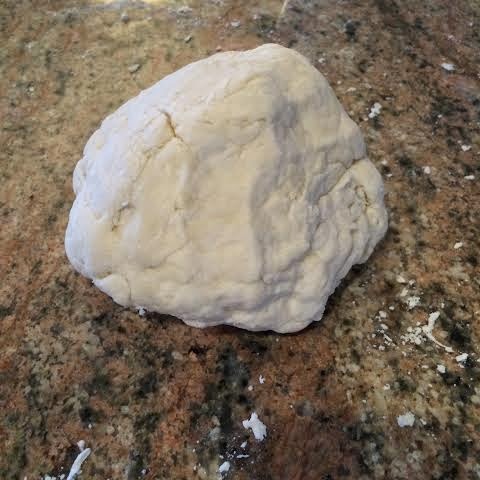 Even if it seems dry, it will almost always come together as you knead it. I have made the mistake of adding water too early in the process and ended up with a far too sticky dough. You want a fairly firm, tough dough, as it will ease up when you let it rest. Cover the dough with plastic wrap and let rest for approximately 20 minutes. Divide dough into 12 equal portions, and roll into small balls. Keep the balls you are not working with covered so they don't dry out. Using a rolling pin, roll the balls into the thinnest circles you can, and then fry in a medium/hot non-stick skillet until they are golden brown on both sides. 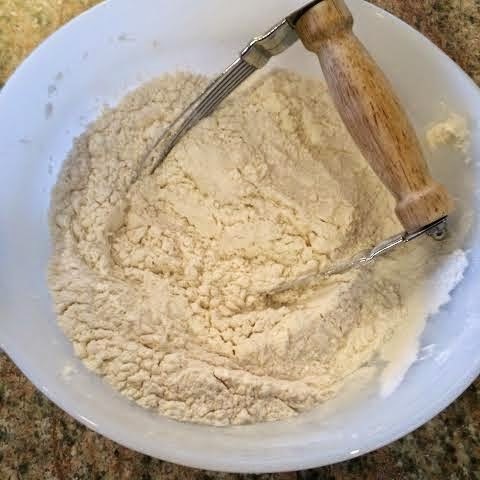 Unfortunately I didn't get a picture of the finished tortillas when I made them recently, so you'll just have to trust me that they end up looking (and tasting) delicious!